So….here we are, it’s a new year and it comes with all the positivity of trying to start it in a semi decent manner. I’ve decided to give the No Meat Athlete philosophy a go for January and see how it goes. 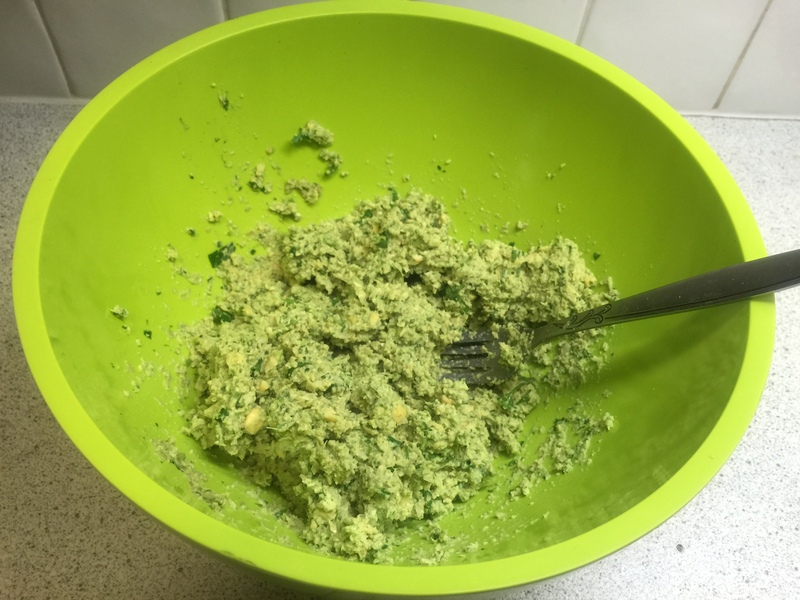 For my first foray into this culinary minefield I’ve decided to try my hand at homemade Falafel using a generic recipe I found on the web. 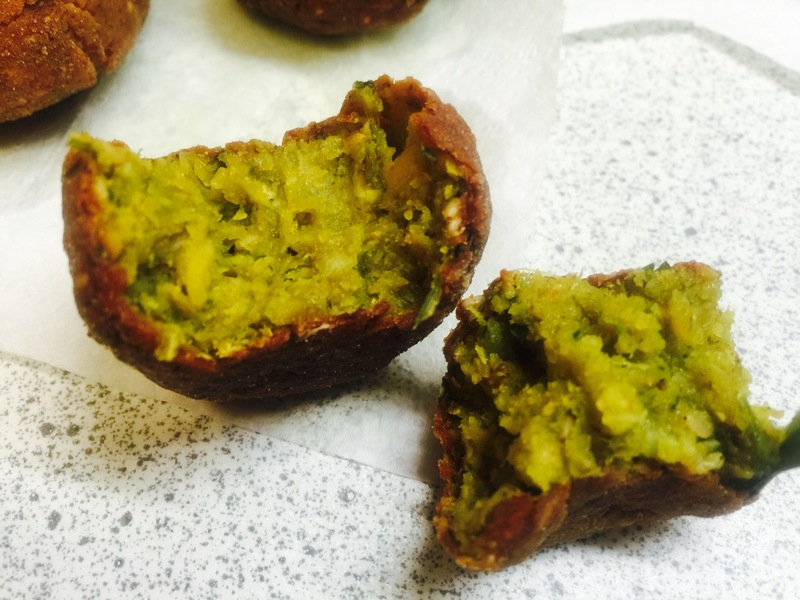 I worked to this recipe and fried one Falafel ball to sample and make sure it didn’t taste like dirt. The result was bland bland bland so I added more seasoning and spices which are now accounted for below. If you make it I suggest frying off one first to make sure its compatible with your plate, otherwise you might have a binfull of the stuff. Roughly chop the Scallions, Parsley & Coriander before shoving in the blender. 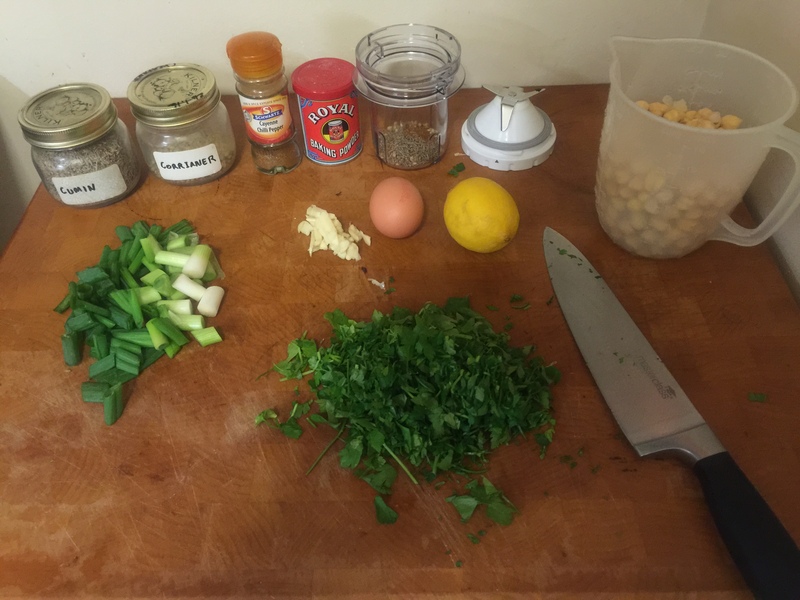 Add the Chickpeas, Garlic, Spices, Egg, Lemon Juice, Salt & Pepper to the blender also. I say blender as this is the best option, use one if you have one. I don’t so I used a liquidiser to turn the ingredients into mulch, this also works but works better if you do it in cup sized batches. Pulse the blender to reduce the ingredients down to something resembling couscous, do it too much and you get paste which means you failed…start again and pay better attention next time :-p. Once you’re done with the blender toss it out into a mixing bowl and stir in the Flour and Baking Powder. 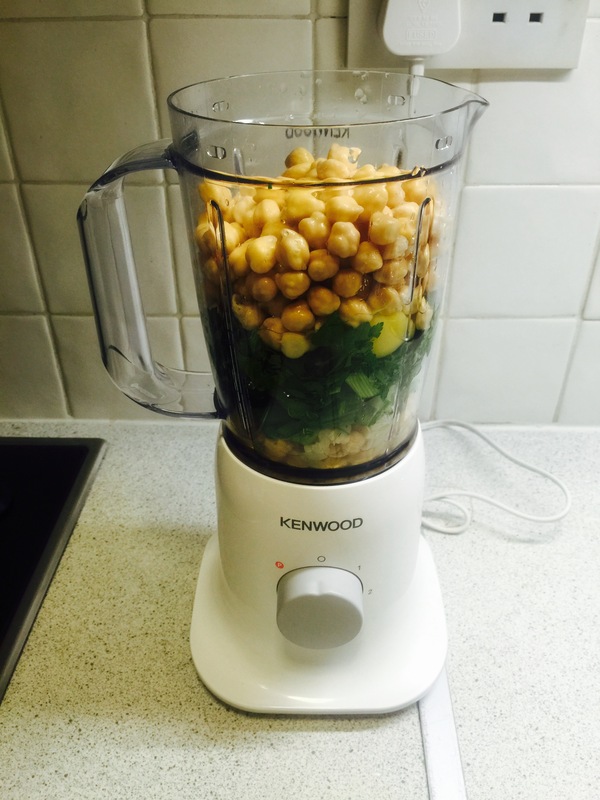 Its also a good idea to remove any large Chickpea bits remaining after blending. 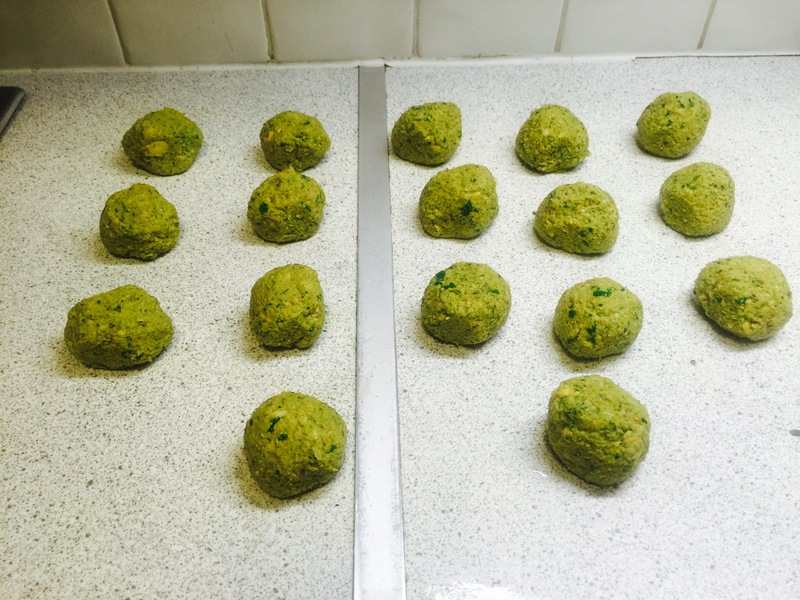 Now that the Falafel mixture is ready you can shape into balls or any other shape that tickles your fancy. Make them relatively small so that they cook through easier when in the frier. 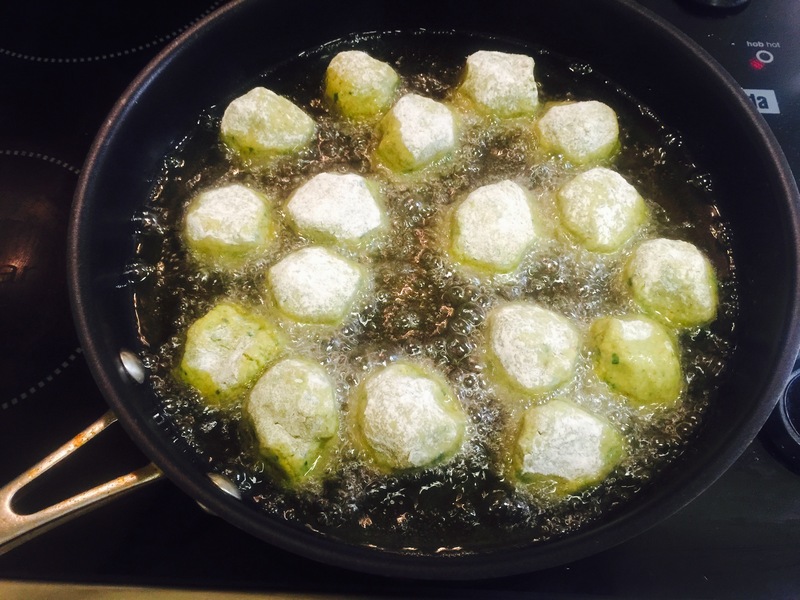 The next step is to roll the moist Falafel balls in flour to prep them for frying. For frying I used sunflower oil and a wide frying pan with about 2cm of oil. Fry the balls until golden, turn them regularly so that they don’t blacken on one side. Once done toss them out on some kitchen paper to mop up the excess oil and there ready to eat.